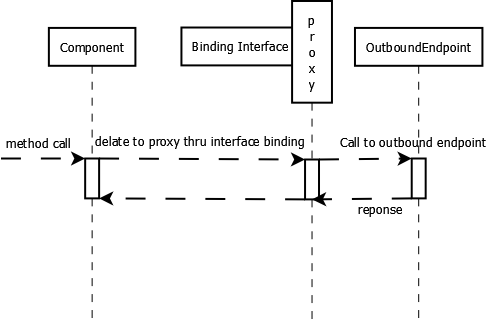 In this article we will show how a mule component can be bound to an outbound endpoint thru an interface. The actual implementation of the interface would be some proxy class set using reflection. Here for simplicity sake, we bind to a vm outbound endpoint else it can be any outbound endpoint that gets the response from an external service. The bound interface is part of the component as a field with the bean getter and setter methods. In the binding configuration for the component, we bind the interface along with a method in the interface to a Mule endpoint. In the below configuration call to SomeQueryInterface.answerQ1() results in a call to the outbound endpoint vm:answerVm. 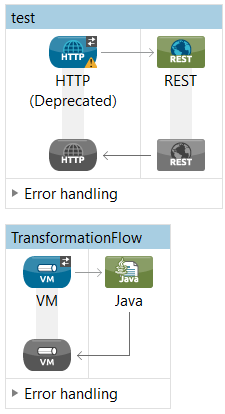 The outbound vm endpoint answerVm passes the call to the java component AnswerComponent which finally returns the response. This was an example about mule component binding.